All pricing and details are believed to be accurate, but we do not warrant or guarantee such accuracy. The prices shown above, may vary from region to region, as will incentives, and are subject to change. Tax, DMV Fees & $597 processing fee are not included in vehicle prices shown and must be paid by the purchaser. Vehicle information is based off standard equipment and may vary from vehicle to vehicle. Call or email for complete vehicle specific information. 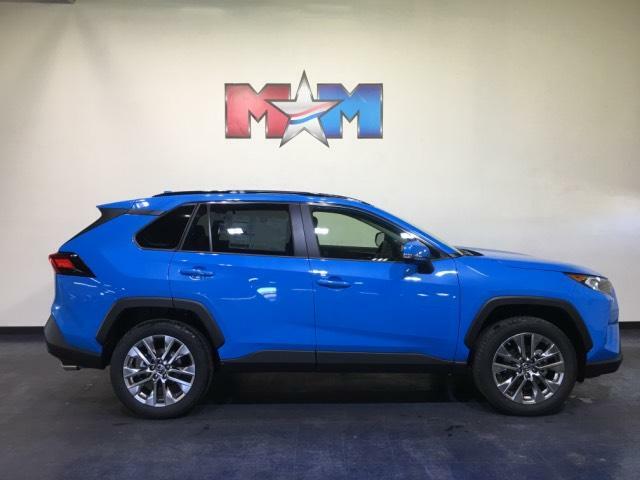 Moonroof, Heated Seats, Keyless Start, Dual Zone A/C, Cross-Traffic Alert, Chrome Wheels, All Wheel Drive, ALL WEATHER LINER PACKAGE. EPA 33 MPG Hwy/25 MPG City! 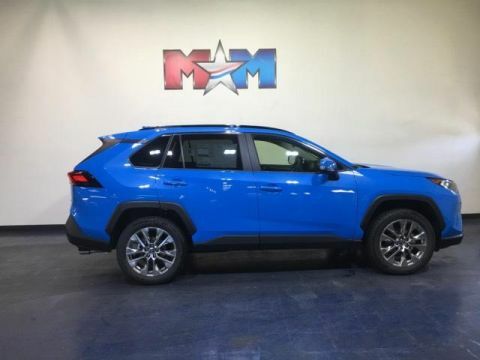 BLUE FLAME exterior and BLACK interior, XLE Premium trim AND MORE! Sunroof, All Wheel Drive, Power Liftgate, Back-Up Camera, iPod/MP3 Input, Onboard Communications System, Chrome Wheels, Keyless Start, Dual Zone A/C, Cross-Traffic Alert, Smart Device Integration, Hands-Free Liftgate, Blind Spot Monitor, WiFi Hotspot Rear Spoiler, MP3 Player, Privacy Glass, Remote Trunk Release, Keyless Entry. COLD WEATHER PACKAGE Driver Seat w/2-Position Memory Function, Front Seat Heating, 3 Spoke Leather Heated Steering Wheel, Lane Departure Alert, Wiper/Windshield Deicer, Rain Sensing Front Wipers, ALL WEATHER LINER PACKAGE Cargo Liner, All Weather Floor Liners. Toyota XLE Premium with BLUE FLAME exterior and BLACK interior features a 4 Cylinder Engine with 203 HP at 6600 RPM*. 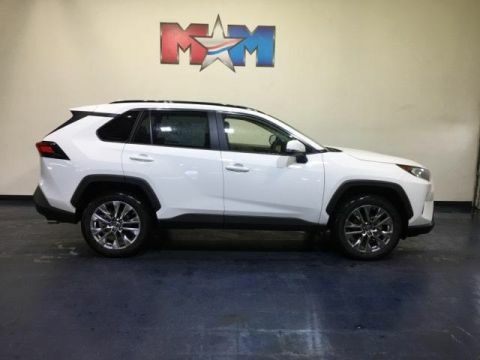 Edmunds.com explains The RAV4 has one of the most spacious cabins in the segment — drivers and adult passengers should have plenty of room.. Great Gas Mileage: 33 MPG Hwy. 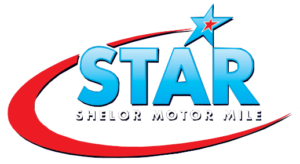 At Shelor Motor Mile we have a price and payment to fit any budget. Our big selection means even bigger savings! Need extra spending money? Shelor wants your vehicle, and we're paying top dollar! 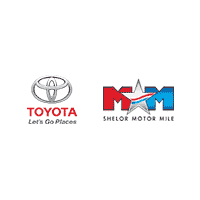 With over 200 new Toyota vehicles to choose from at Shelor Toyota, we’re sure that we’ll find you a vehicle that fits your requirements and lifestyle. 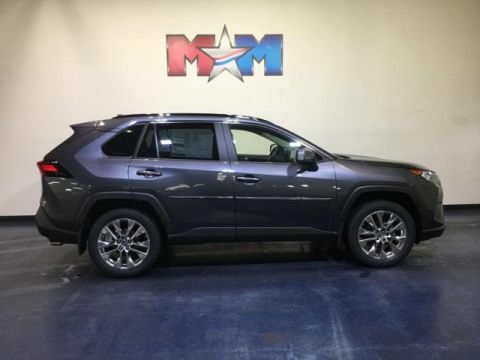 Our goal is to find the Toyota that keeps impressing you every day, rather than something that just works or meets an expectation. We know that you have high customer service expectations, which is why we work extremely hard to meet and exceed the expectations of each and every customer that walks through our doors. So let us serve you if you live in Blacksburg, Radford, Salem, Roanoke, Pulaski, Wytheville or West Virginia. We truly believe that it’s worth the drive to shop with us here at Shelor Toyota in Christiansburg.